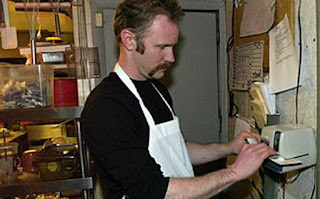 I recently watched the first episode of 30 Days, a program by Morgan Spurlock (the guy who made Super Size Me). In that episode Morgan and his fiancée Alex lived the life of folks who earn minimum wage for a month. Between the two of them, they had three full time jobs as unskilled laborers, yet they barely earned enough to both buy groceries and pay rent for an unfurnished, ant infested apartment in a former crack den. Not only were they needy for material goods, their physical health and relationship suffered. This got me wondering: Is hard work bad for you? In this case, it was certainly not benefiting Morgan and Alex's lives. They were indisputably working hard but had a standard of life that begs one to question if a stay in prison might be better. At least there they'd be assured three meals and health care.